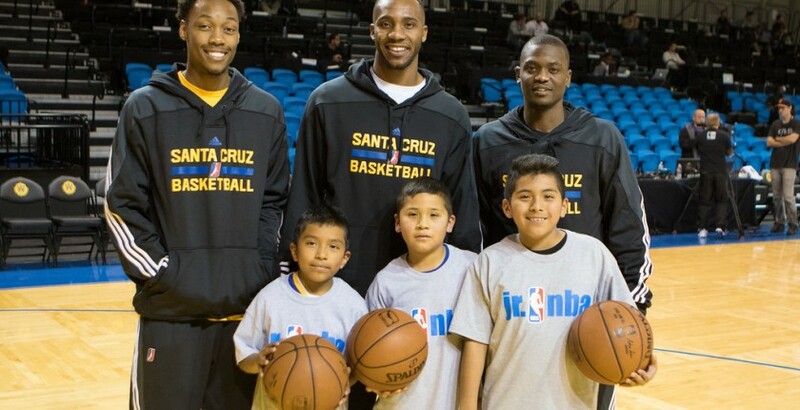 Four years ago, the Golden State Warriors called the Boys & Girls Clubs of Santa Cruz County to form a partnership with a Development League team the Warriors wanted to bring to Santa Cruz. Since the team made Santa Cruz their new home, more than 1,000 kids have participated in the program. Warriors players have visited the Downtown Clubhouse on several occasions and the Warriors host the Basketball Program’s annual tourney at Kaiser Permanente Arena. Last year, Warriors Head Coach Casey Hill and former President Jim Weyermann spoke at the Great Futures Breakfast, and the Warriors also organized “Lunch with the Legends,” an event with NBA Hall of Famers Jerry West and Rick Barry. Murphy said it’s fun to watch kids play in the big arena. The end-of-season celebration for the Basketball Program will start at 3 p.m. March 13 at the Downtown Clubhouse and end with a visit to the Warriors game. Click here for tickets.